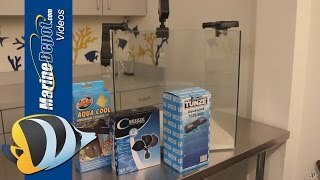 The IceProbe is the ideal cooling solution for small aquariums. This quiet, reliable, and efficient chiller uses advanced thermoelectric technology to directly covert electricity into cooling power. With its threaded probe, nylon nut, and silicon washer, the IceProbe, can be easily bulkheaded through a 1.25" hole into siphon overflows, prefilters, sumps, or even directly into acrylic aquariums. A single IceProbe can cool 10 gallons of water 6-8F below ambient air temperature in a standard aquarium. Multiple IceProbes can be used in a single aquarium to achieve higher temperature differentials. Weighing in at only 2 pounds, the IceProbe® is powered by a separate 12 volt D.C. power supply and draws less than 50 watts. 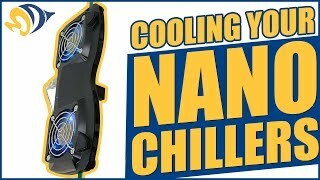 CoolWorks IceProbe-powered chillers are the most effective way to cool small volumes of liquid. CoolWorks has been providing consumers and business with innovative water cooling proudcts for more than 10 years. The company was founded in 1994 and is dedicated to developing, manufacturing and marketing innovative thermoelectric products. The company was awarded a U.S. patent for their flagship product, the IceProbe, in 1996. The IceProbe was designed as an alternative to compressor-based cooling technology for small scale water chilling. While initially used for cold water dispensing systems, the IceProbe has proven very effective for cooling small aquarium systems. We didn't even drill any holes in the aquarium we just put it upside down the drain. works perfectly. Works great. Allows me to keep my tank 4 degrees cooler than the room temp. That's what i wanted. Simple design and simple installation.